I admit between all of the folks talking about how “Makefiles” are the new automation tool of choice and what I dub the “text editor renaissance” which has been brought on by the likes of Sublime, Atom and Visual Studio Code as opposed to the early 2000s when IDEs were all the rage its great to see a return to fundamental tools that are programmable/quick n dirty and highly customizable. 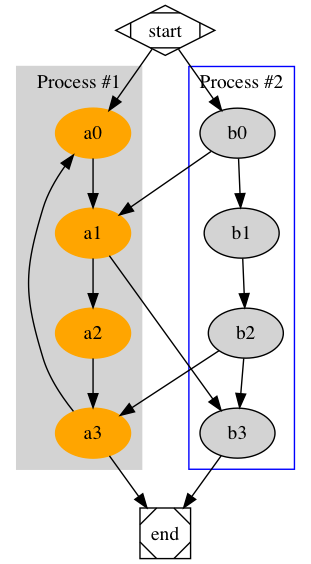 Anyhow, back to the main topic; GraphViz in addition to being able to turn lines of DOT into pretty graphs as shown in the “example” also has several language bindings. I was browsing the GraphViz website in search of documentation regarding language bindings for C/C++ when I discovered that I already had the necessary libraries installed on my machine when I first downloaded brew install graphviz. To make things short I wanted to see if I could compile and run the simple.c file mentioned in the official docs. With that completed we can pass a dot file as an input and get a plain formatted output. Thats about it for now; I’ll be investigating more later.